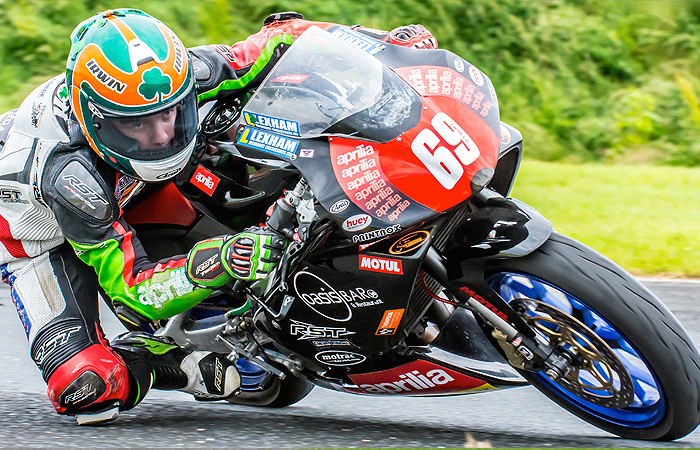 The second nomination for the 2017 Masters Superbike Championship Young Racer of the Year award final has gone to Donegal's Rhys Irwin. Fifteen year old Rhys is the first rider to be nominated twice for the award, having also received the vote of the judges at the same event in 2016. 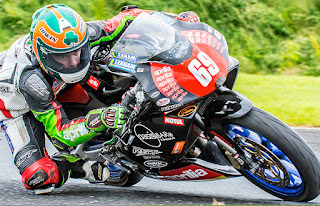 Irwin will now join Eunan McGlinchey in the final of the Mondello Park, Dawn International and J Plumbing Supplies backed competition, which takes place in October. For 2017 Rhys is concentrating on Thundersport UK where he rides in the one-make Aprilia RRV 450 class. 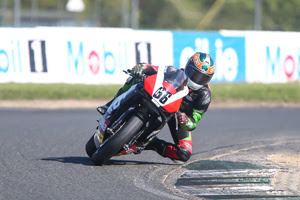 Alongside his Thundersport campaign the Donegal lad will also compete in non-clashing Masters events in the Lightweight Supersport, class using the same Aprilia machine. 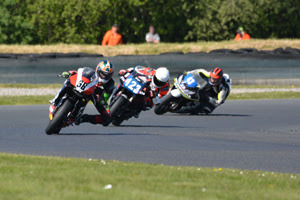 The May 6th and 7th Masters was the first home appearance for Rhys and also the first time an Aprilia RRV was raced in the Lightweight class, as the bikes were only recently given permission to race alongside the older but more powerful 400cc machines. Despite a massive horsepower deficit the Irwin Racing Aprilia lined up on the front row for race one having set second quickest qualifying time. In race one a strong first lap gave Irwin the lead and he then held on to win by over three seconds, taking fastest lap of the race on his way to victory. Pole position for race two was also converted into a lead and this time the winning margin was even more impressive as it grew to almost ten seconds with the youngster also setting a new lap record. The final race of the weekend again saw a lights to flag victory, with fastest race lap, which impressed the competition judges sufficiently to earn Rhys the Young Racer of the meeting award. Winning a nomination to the Young Racer of the Year award means that Rhys Irwin will receive a free entry to the next Masters event along with free testing and garage space. All nominees will be invited to attend an end of season assessment day in Mondello Park where a successor to Robert English, the 2016, winner will be chosen. For further information on the Masters Superbike Young Rider of the Year award scheme which continues into 2017 see www.masterssuperbike.ie.